Hoa Lan and Hoa Tra suffered for over 12 years in tiny cages on a bear farm in the province of Thai Nguyen. The cages lacked light, fresh water and space for movement. 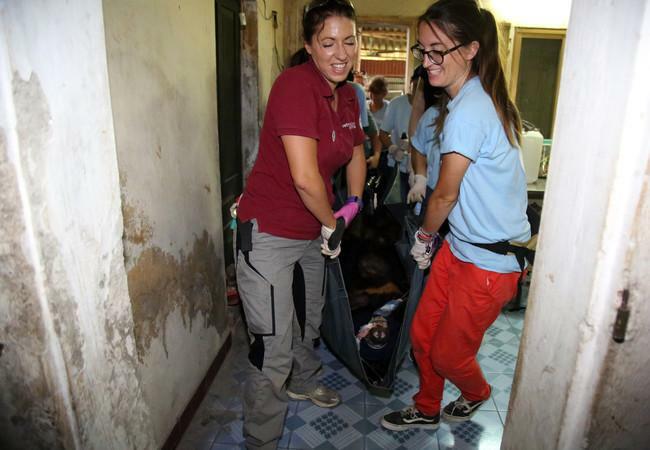 The two bears were forced to live in very poor conditions since they were sold to a bile bear farm when they were still little cubs. The two bile bears were rescued successfully in August 2018 and arrived safe and sound in their new home, the BEAR SANCTUARY Ninh Binh. 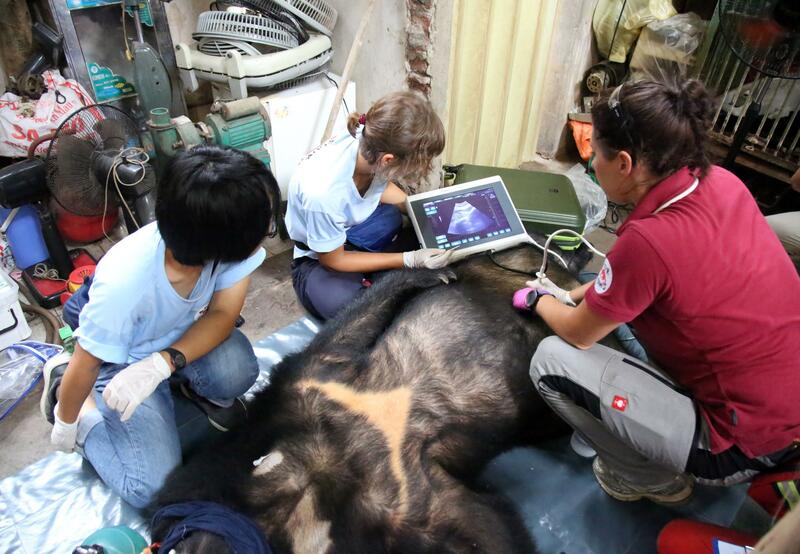 Years of cruel keeping on the bile farm had left its marks on the two bears. Hoa Lan’s teeth especially were in a terrible condition and our on-site vet had to treat the bear already during the first vet check. 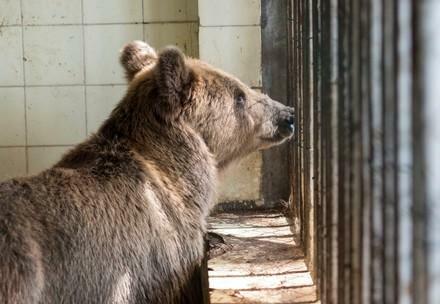 Both bears were taken to the quarantine station where they received intensive medical care and got used to bear-friendly food! 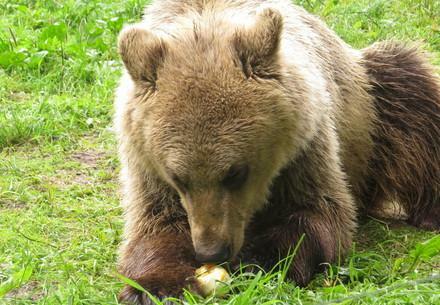 After recovering early on, they were moved to the bear house and afterwards will be released into a large outdoor enclosure. 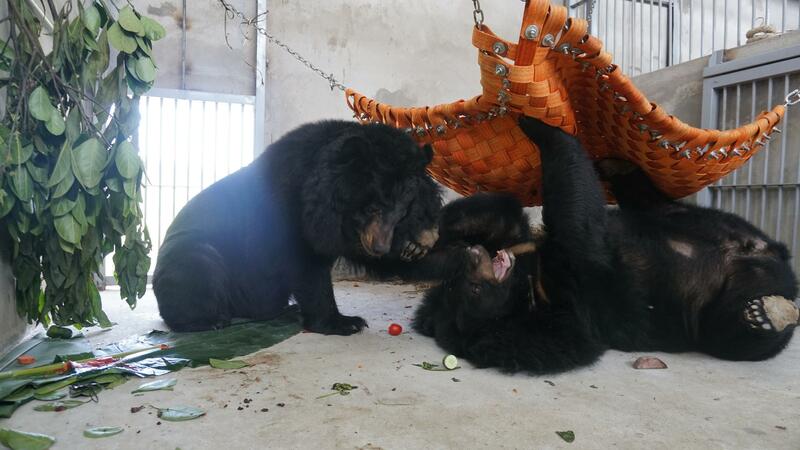 After years of physical separation, Hoa Lan and Hoa Tra have been socialised at our BEAR SANCTUARY Ninh Binh. 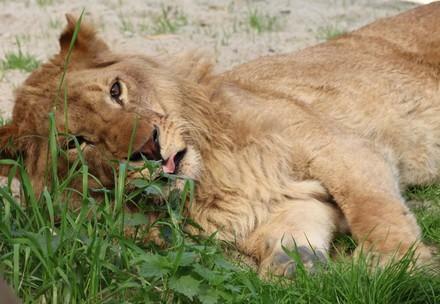 Both are very well and enjoy the time together in the outdoor enclosure. 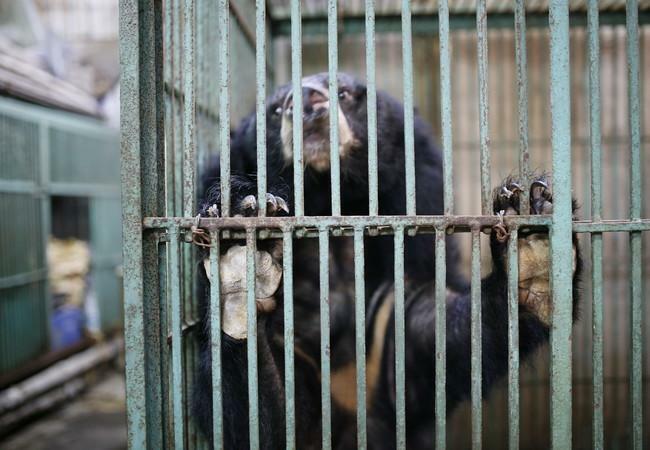 END BEAR FARMING IN VIETNAM!